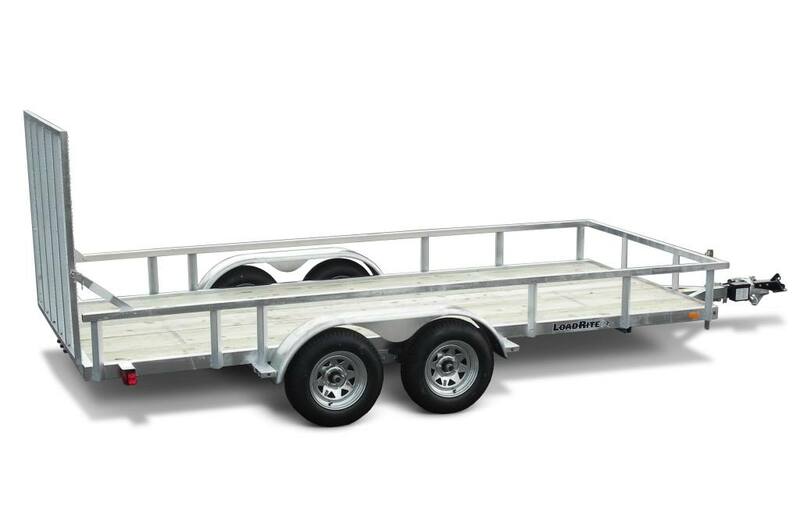 Load Rite utility trailers take service-life to levels unheard of from either painted or aluminum competitors. 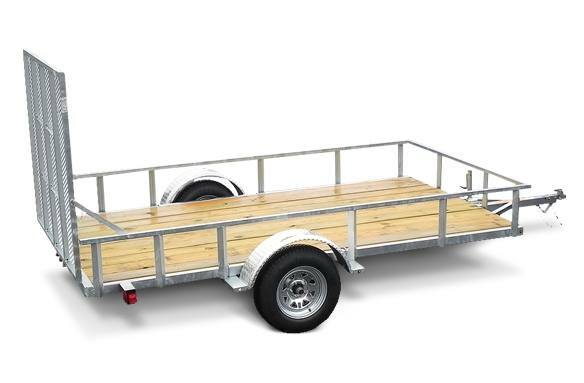 These trailers are solidly built with welded galvanized tubular steel frames, axles andintegrated side rails. A 5' ramp provides easy loading, while a 2x pressure treat plank deck provides solid cargo support. 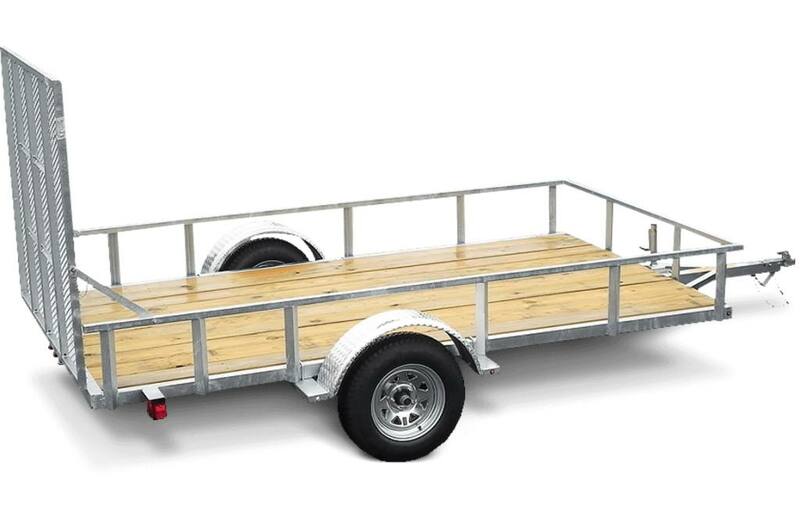 Other standard features include LED lights, radial tires, and anA-frame tongue weldment, integrated frame tie down points, a footed tongue jack, galvanized skirted fenders and 15" wheels with bead-balanced DOT rated radial tires and lighting complete the package. 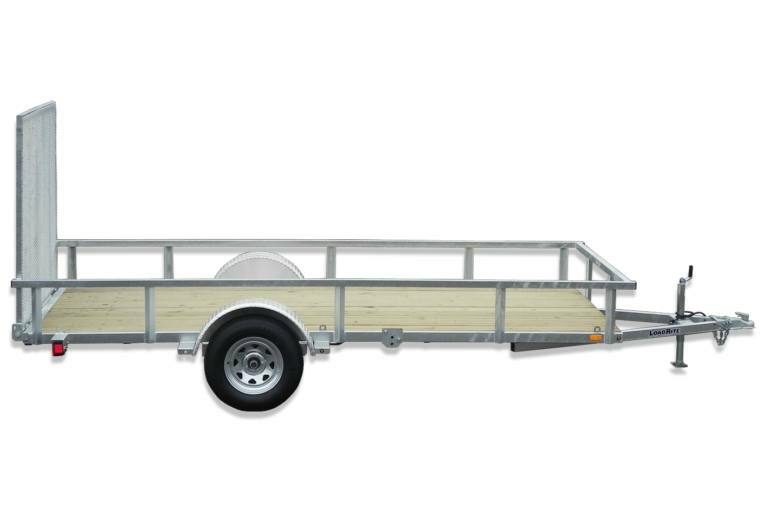 Tailor the trailer to your needs with optional features includingsolid,mesh, or wood sides,brakes, and a spare tire. 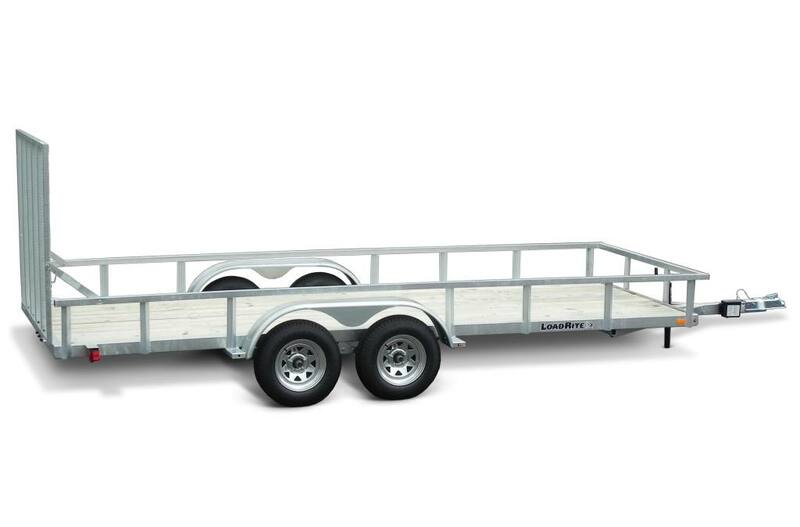 When it comes to appearance, performance and stamina, these trailers have it all.This is not a throwaway trailer. It's a permanent investment, one you'll either resell to a neighbor or hand down to heirs. It's that good. Deck Size: 6.5 ft. X 16 ft.
Deck: 2 in. x 8 in. Dim. Axle Capacity (Each): 3,500 lb. 6.5 ft. X 16 ft.